We wanted to give a quick analysis of what happened to the price of Bitcoin since yesterday. Our team has created a video, that you can see below our analysis. 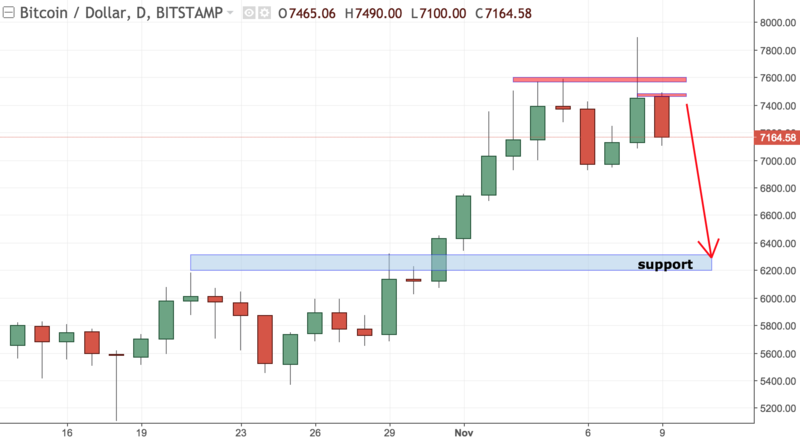 A second scenario is to see price dropping down to the next support level at 6300. From there, depending on price action, we might see price going higher back to its current levels. A major correction is also possible, although less likely. Therefore, we expect to see a minor correction before the bullish trend continues.